The participants made an amazing team and together learned the basic concepts of environmental economics and their application to marine conservation projects. “It's an amazing, fantastic course... A lot of learning for me. I think I can write a novel if I want to describe how I feel about this course.” Astana Yuana, course participant. An outstanding group of instructors gave their best during their lectures and even more during the extra-classes exercises. “Great presentation! I have never experienced this 'roller coaster' excitement when I learn economics.” - Participant commenting on lectures of Instructor David Johnson. 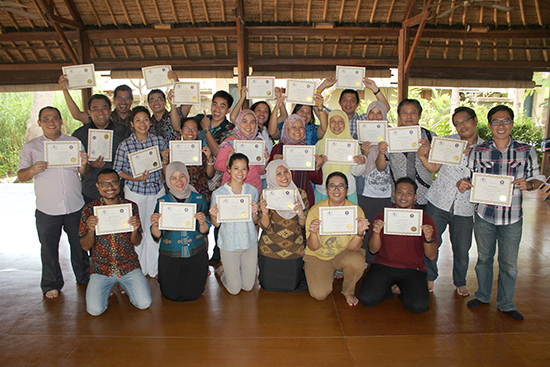 To learn more about the 2016 Indonesia course, instructors and curriculum click here.